A Mens Garden Gnome Costume including a Top, Dungarees, Beard, and Hat – Ideal for a Fairy Tale theme, a TV & Film theme, or any fancy dress occasion! Bring the fun top the party with this brilliant Mens Garden Gnome Costume. 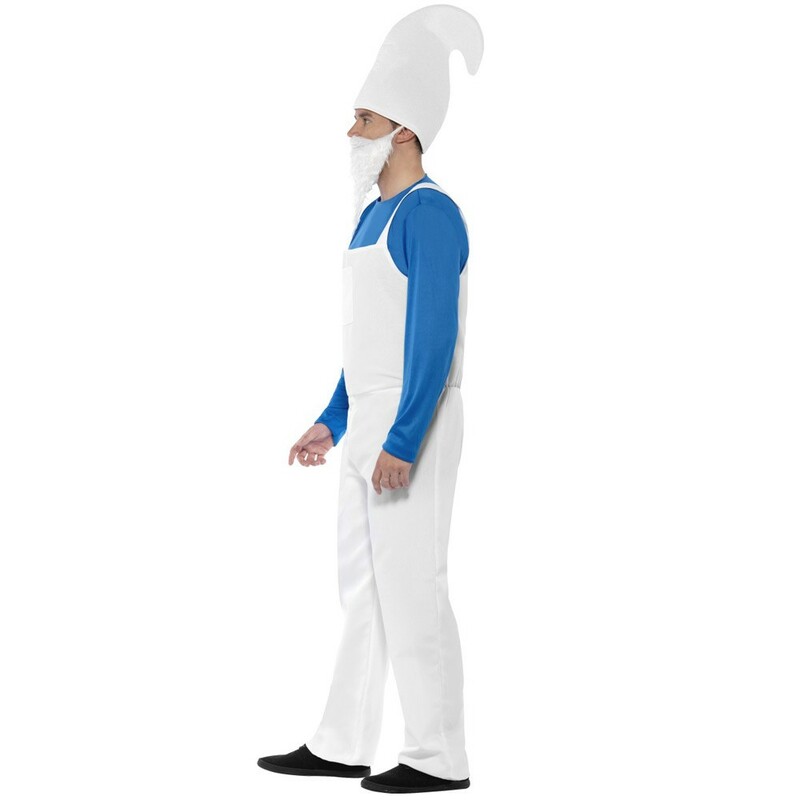 This Mens Garden Gnome Costume comes complete including a Top, Dungarees, Beard, and Hat. This long sleeve blue Top contrasts the long white felt dungarees. Complete this Mens Garden Gnome Costume with the white felt bear with an attached elastic strap, and the white felt Hat with a pointed design for an authentic gnome look. Perfect for a TV & Film theme, a comedy theme, or any fancy dress occasion, this Mens Garden Gnome Costume will be sure to impress no matter what the occasion. 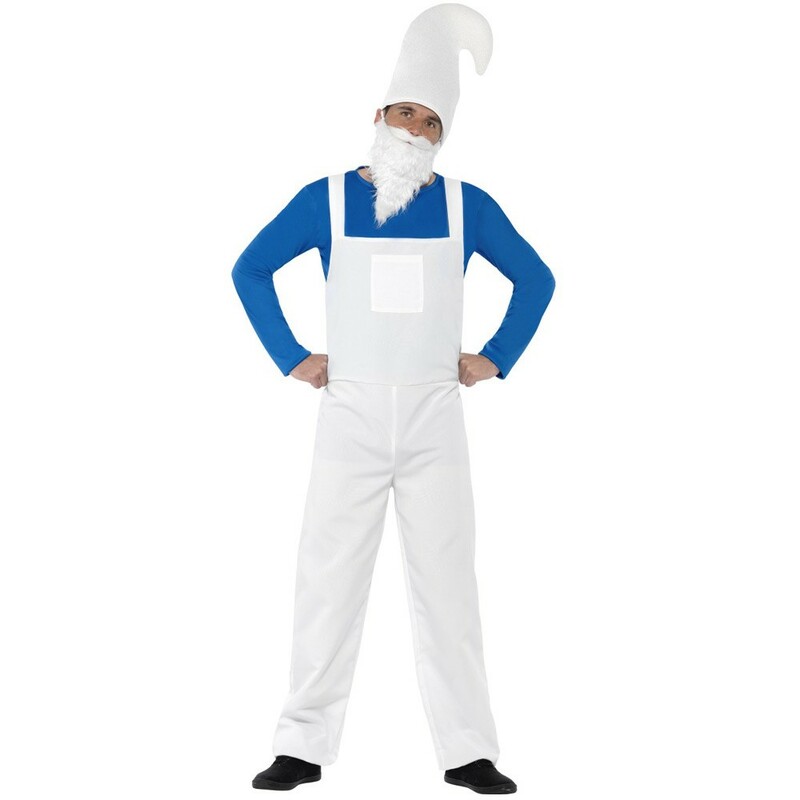 Bring this Mens Garden Gnome Costume to life and party in style! A Mens Garden Gnome Costume.